The Star Wars Holiday Special was a two-hour show set in a galaxy far, far away which aired on November 17, 1978. In this television program, Chewbacca and Hans Solo visit Chewbacca's home world and celebrate Life Day. They are pursued by agents of the Galactic Empire searching for rebels on the planet. In variety show format, this special features visits from many of the Star Wars characters, an introduction to three of Chewbacca's family members and numerous celebrity guests including Jefferson Starship, Diahann Carroll, Art Carney, Harvey Korman, and Bea Arthur. It is said that George Lucas was never pleased with the production and so the show has never been officially released in any format. Despite that fact, it has managed to become a cult phenomenon. A film that people have heard about it and want to see out of curiosity. 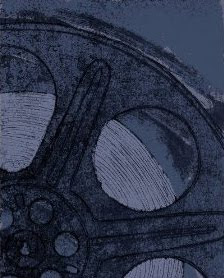 The original film is said to be held in the Lucasfilm archives and the show is available to us today only because someone who watched it in 1978 took the time to record it on Betamax or VHS. Therefore, the only copies available today are bootleg versions that have been duplicated over and over again, which translates into horrible quality rendering and of course, because they are copies, they are illegal to sell on eBay, Amazon or anywhere. My check today on those websites does not turn up a single copy. 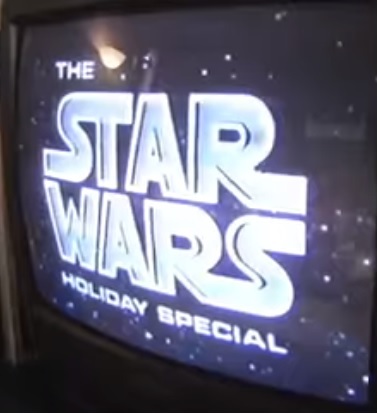 Here's the story of the Star Wars Holiday Special from an ABC newscast. Because it is only available illegally, ABC is only able to share a small piece of the film. Did that small clip help you decide that you never need to see the show? Or did it cement your desire to see it?